Several internet giants and media publishers, (Google, Microsoft and Le Figaro newspaper included), are threatening legal actions against the developers of software that blocks ads from reaching consumers. This is, obviously, a problem for websites that rely on advertising as the web becomes more and more popular. Japan Today writes that a quarter of the $545 billion spent on global advertising this year went on digital ads, however, with digital ads being present everywhere, the popularity of ad blocking software has grown substantially. In the beginning, apps like these were unknown to the general public, and were used only by a handful of tech-savvy individuals. Adblock Plus, the most popular ad blocking browser add-on, has nearly five million active users in France, two million in the United Kingdom and 1.5 million in Spain. According to a September report from Adobe software developer, Adblock boasts 144 million active users worldwide, up 69 percent in a year. The publishers, whose revenue depends mostly on digital ads, find these results alarming, and are considering legal actions. "This is no small matter; it affects all publishers. Our members have lost an estimated 20 to 40 percent of their advertising revenue", said Laure de Lataillade, CEO of GESTE, an association of web publishers in gaming, media, music and other domains. Sean Blanchfield, CEO of PageFair, compared the campaign against ad blockers to Napster’s demise: "They should instead learn from the Napster story that the users will ultimately get what they want", said Blanchfield. 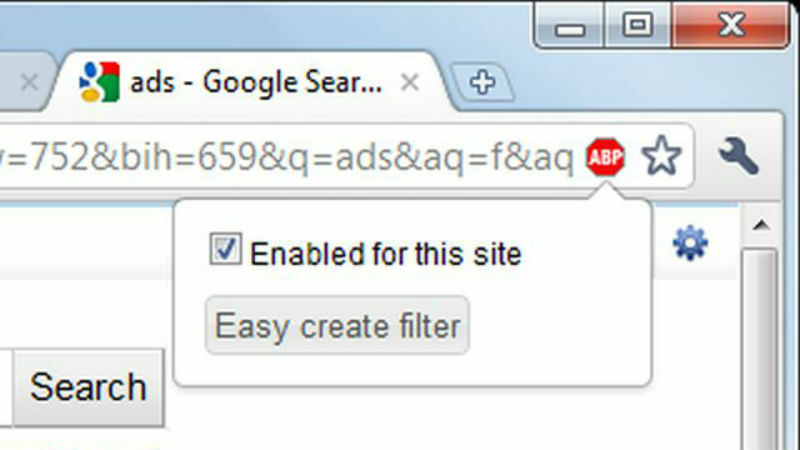 The problem has encouraged Google to launch an alternative to web advertising, called Google Contributor. It charges users between $1 and $3 a month to be spared ads, with the fee going to the affected websites. The idea is currently being tested on sites like Mashable, The Onion and Science Daily.